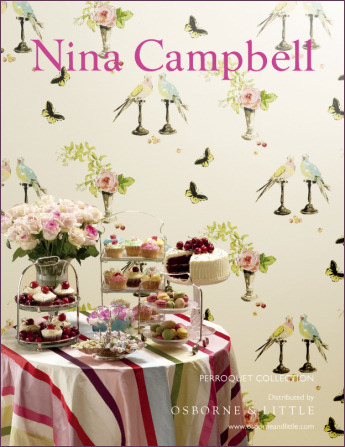 Nina Campbell is a world-renowned interior designer, she's known for her beautiful interiors, as well as for her collection of fabrics, wallpapers, accessories, carpets and home fragrance. 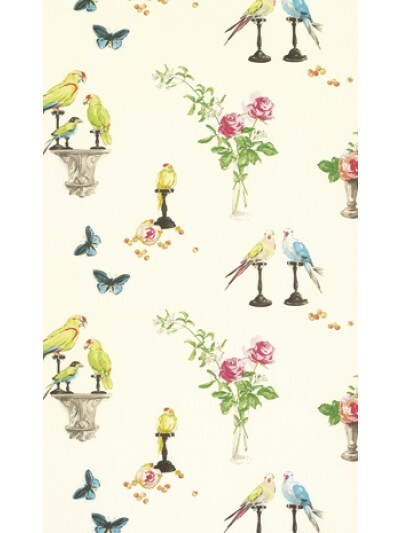 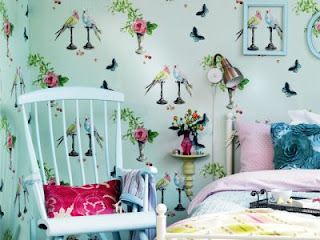 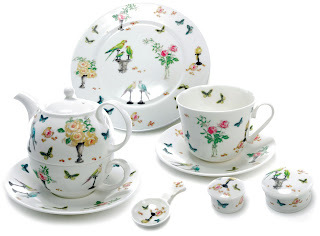 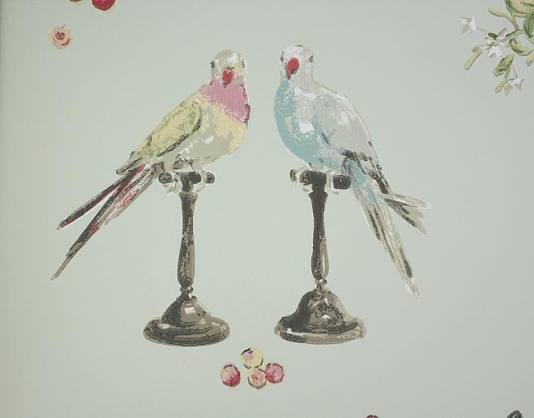 Perroquet is a charming composition on pure cotton of colourful parrots, roses in full bloom and ornamental cherries. 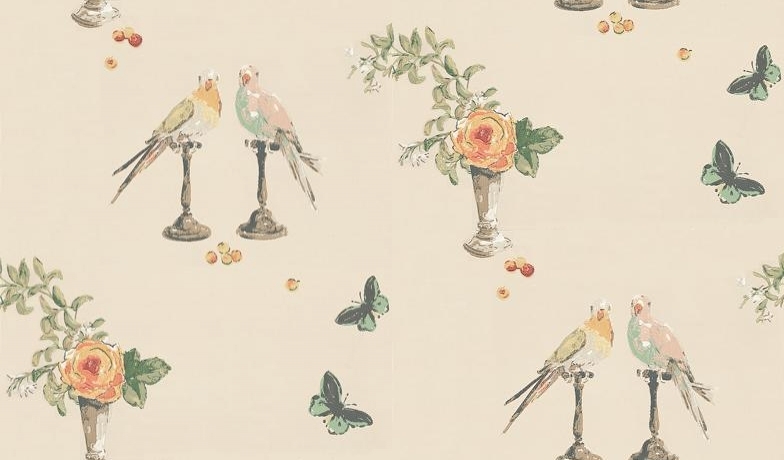 This design was inspired by one of Nina's favourite Parisian boutiques, Odorantes in the rue Madame, which is full of rare scented roses. 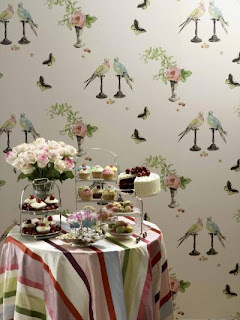 This florist shop has an enchanting decor featuring stuffed birds hence the name perroquet, French for parrot. 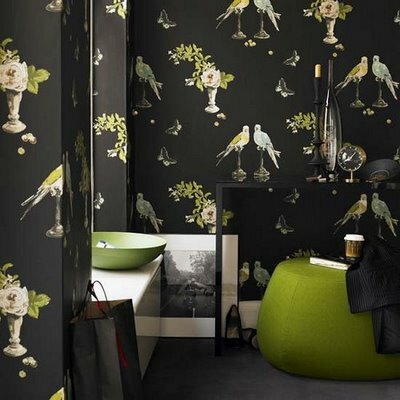 The colourways range from soft aqua and off-white grounds to a dramatic black.